The US’s ultimate goal is to create complete chaos in the Middle East region, Sara Flounders, head of the International Action Center, told RT, while commenting on a video showing US special forces fleeing the Syrian town of al-Rai. The US have chosen dangerous allies who do not trust them and fight one another, while looting Syria and destroying it as a state, she added. RT: If the reports of US forces fleeing from American-backed rebels are confirmed, what does that say about Washington’s Syria strategy? Sara Flounders: Well I think the US is in league with a whole assortment of forces none of whom that I know, none of whom they can trust, trying strenuously to play one group of against another. That makes the whole situation absolutely untenable. What they’re doing is really trying to spread complete chaos in the region and sectarian divisions. RT: These rebels were reportedly calling the American soldiers “infidels” and “crusaders” – what could have caused a change in their attitude to the US? SF: Looking at this video certainly reminds us of what happened to US Ambassador Christopher Stevens in Libya and his whole unit in 2012, when they were executed by the very fanatical forces that US had brought to life in order to pull down the government of Libya. And so we’re looking at the same thing today the very forces that the US has helped to create, bring to life, arm and fund, recruited and trained through Saudi Arabia, through Israel, through Kuwait, through Turkey. Also fanatics who have no program for Syria and at the same time completely hate the US. And so we can expect that the regime change is not a plan for democratic change, not a plan for the people of Syria, but simply a plan to create a complete chaos and destruction in the region. And that’s what we see in this video where the forces, the US considered themselves in league with, have also had turned totally against them. These are mercenary and fanatical forces, this is really the problem. They don’t know who to trust and they’re using one force against another. And everyone knows that, and everyone hates the US for what they doing, even if they’re taking the US arms and money. 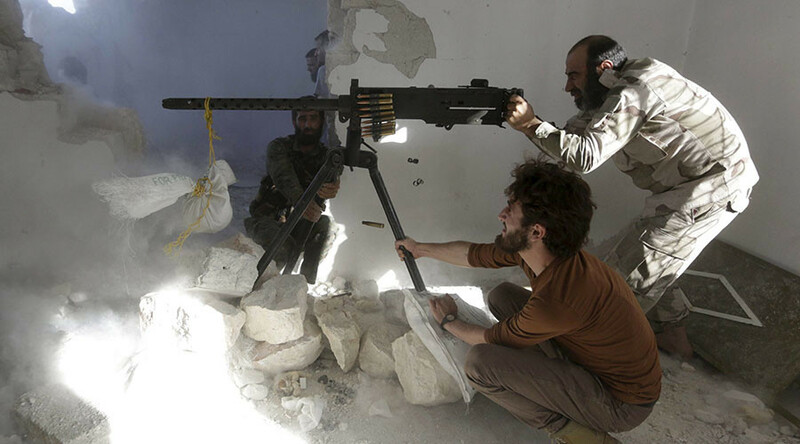 RT: The US claims to back only so-called moderate rebels – do you think that’s a concept that applies in this war? SF: Well, this has always been their attitude. 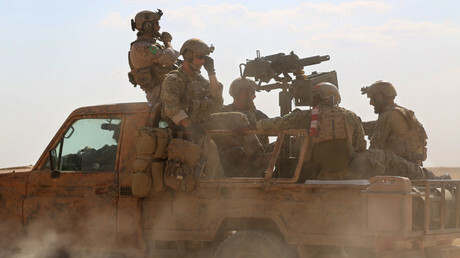 Who is the US recruiting as mercenaries and as an army in Syria? It is extreme forces who have no interest in democracy, see all the forces that are not completely allied with them as infidels. And so what did they expect? As I said, it really reminds me of what happened to Christopher Stevens, the US ambassador to Libya. Well, you only have to look at the video to see that none of the forces, and this is well known, none of the forces that the US has armed are called “moderate forces.” They are contending and competing groups engaged in looting Syria and also with no program for the people of Syria rather than an extremist religious program for those who are motivated by religion. So it’s not surprising that these forces would want the US out. And so we see 40 special forces who are going in with Turkey, where there’s an uneasy alliance also, and so is with the Kurdish forces, and so is with all of the forces on the ground. They’re playing one against the other and doing it in a way that is completely destructive to the people of Syria and their future. RT: If verified, could this incident lead the US to rethink who they are backing in the region? SF: Well, I think they should’ve looked who they were backing a long, long time ago. And frankly I don’t think it will change. Because that has been their policy since Afghanistan, and in Iraq, and in Libya and in Syria. In the entire region their alliance is with Saudi Arabia with fanatical forces that only seek sectarian division. So will it lead to reevaluation? You would hope so, but I frankly do not think so. Because what their aim is, the US aim, is destruction of Syria as a secular, democratic, progressive, modern state in the region which is an independent force and its economic and political policy. That’s what they want to destroy: that very example in the region.